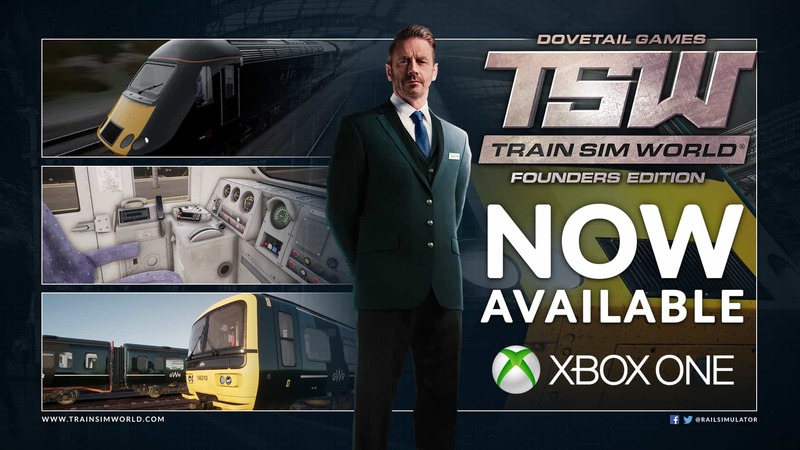 Train Sim World: Founders Edition – Out Now For Xbox One! Discussion in 'Dovetail Live Article Discussion' started by TrainSim-Jay, Mar 9, 2018. Ever wanted to drive a train? Well, now you can from the comfort of your living room – Train Sim World: Founders Edition is Out Now exclusively for Xbox One! Will you include Heavy haul for Xbox one? The FAQ will answer that for you. unvaluedflyer31 What problems do you have with it? what does this update include? Hi, I’ve just got TSW, and absolutely love it! The graphics are sharp and well executed, the details are on point.....except for a few little ones! I’ve noticed that every now and then, on the HST, the class should be a 43, yet the number can be 44013 etc, which actually is the number corresponding to the guards coach right behind the diesel. Also, I’ve had a class 66 with two different fleet numbers on it at the same time, the one on the side did not correspond to the front one! Like I said, these are only small niggles, on a otherwise fantastic game simulator. I look forward to more locomotives and tracks, including the WCML, soon please! Mike18471 CSX Heavy Haul won't come to Xbox One. Will CSX Heavy Haul come to Xbox One? It seems as though the bulk of the Xbox news will be on the June 1st stream.